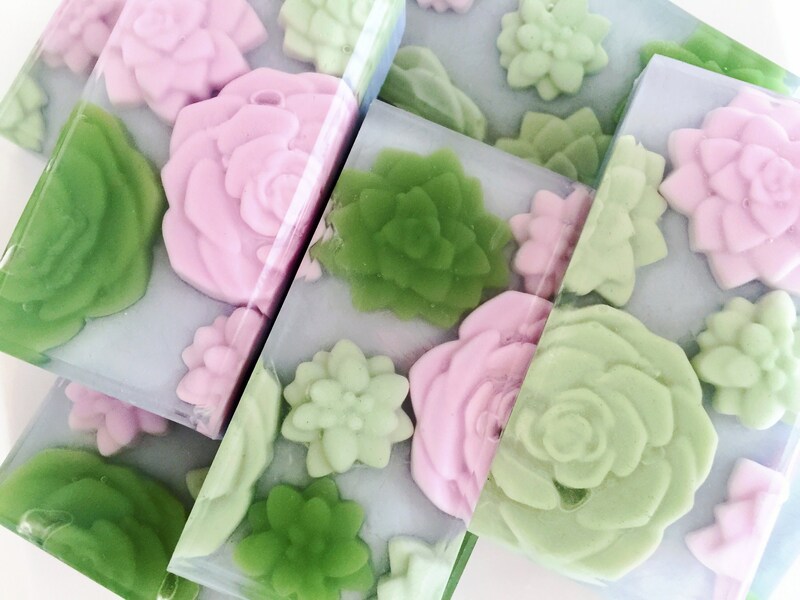 LUSH SUCCULENT: You don't want to miss this fresh and green mix of cucumber, vetiver, grass, honey, bamboo, geranium, sage, patchouli, oakmoss, and sandalwood. Made with a moisture-rich, creamy buttermilk formula, which is high in triglyceride content, making it an excellent natural moisturizer. It also contains oatmeal and calendula extract to pamper and sooth dry, delicate skin. Real natural honey, rich in antioxidants, adds additional moisture and produces a light, creamy lather. 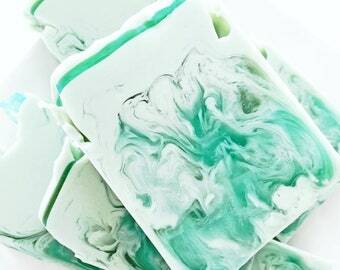 Detergent and sulfate free. 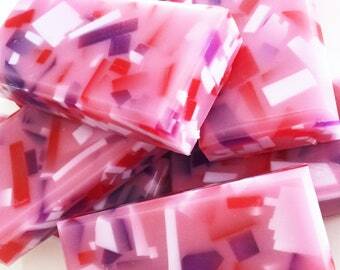 This listing is for ONE soap bar, weighing approximately 4oz. Please allow 3 - 5 BUSINESS DAYS for your order to ship. Due to the handmade nature of my products, no two are identical. Please allow for variations in color as compared to product listing photos and/or previous orders. Thank you for buying handmade! ✭ Payments must clear before and order can be processed and/or shipped. Due the personal and intimate nature of bath and body products, all sales are final, no refunds, exchanges or replacements are possible for any reason. Refunds and/or replacements will not be issued as a result of personal opinions or preferences in regards to fragrance. This means that if you tried out one of my products in a particular fragrance and it wasn't your favorite, I will not accept returns or issue refunds or replacements. I truly want you to *love* every aspect of my products, but fragrance is very subjective and ultimately a matter of opinion. If your order has arrived and there has been damage/spillage in transit, you must take detailed photos of all the damages/spills and submit them to me for review WITHIN 24 HOURS of receiving your package. At that time, I will assess the damage and we will discuss a resolution. I will not issue replacements or refunds for damage claims if you do not submit detailed photos within 24 hours of receipt. > Bath bombs are more susceptible to cracking or denting while in transit. This does not render them unusable and as a result bath bombs are not eligible for refunds or replacements. Due to the handmade nature of my products, no two are identical. Color variations are to be expected and as a result, no refunds or replacements will be issued for differences in color. Please allow for variations in color as compared to product listing photos and/or previous orders. 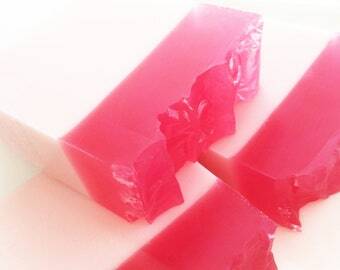 Sweet Clementine Soaps is not responsible for shipments left in a hot mailbox or porch all day, subsequently being exposed to high temperatures for extended periods of time. As a result, refunds and/or replacements will not be issued. During the HOT summer months, please be sure to ship to an address where you will be available for delivery! Most of my products can withstand the heat without a problem, but do remember to check for mail daily to be sure you pick up your package the day it is delivered! 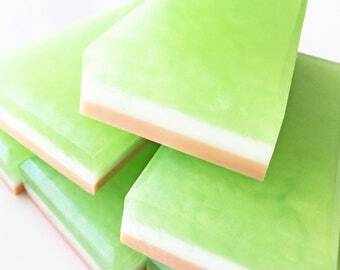 > Whipped soaps are the most sensitive to hot temperatures. 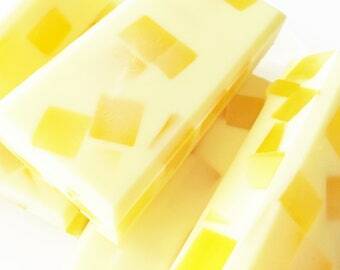 If left out in excessive heat for a prolonged period, they may melt and their whipped texture cannot be recovered. 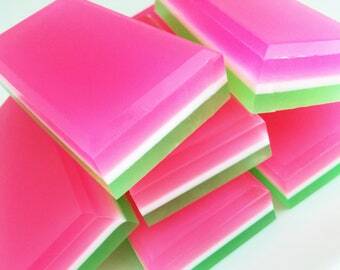 > Please note, solid soap bars will only melt at temperatures above 125 degrees. 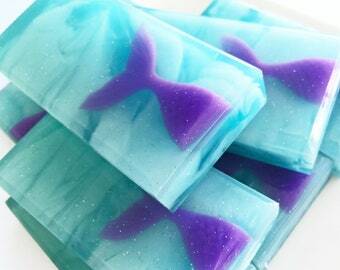 It is very unlikely your soap bars will melt! Please allow a 3 - 5 business day processing time before an order ships. Custom and large orders may take a longer, please inquire in these cases. Always remember: The estimated delivery date is the purchase date + processing time + shipping time! All orders ship via USPS with Tracking and Delivery Confirmation. Orders of $250 or more will require Signature Confirmation upon delivery, no exceptions. 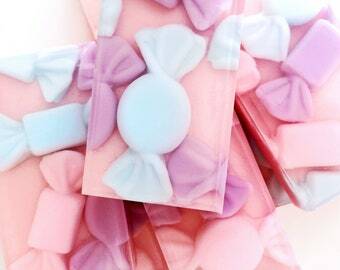 All favor soap orders will require Signature Confirmation upon delivery, regardless of order total, no exceptions. Because all shipments include Tracking and Delivery Confirmation, shipments marked as “Delivered” by USPS, but claimed to be undelivered by the customer are not the responsibility of Sweet Clementine Soaps. Such claims will not result in refunds or replacements. Once an order ships, it is no longer under my control. Delays in transit are always possible. Therefore, I can never guarantee delivery before or by a specific date. Please keep in mind that I have the same information you have, that which is reflected by the tracking information. If your order is delayed, please be patient! This does not mean your order is lost. During checkout please be sure to confirm that the shipping address you are entering is current and correct. Your order will ship to the exact address you have entered at checkout. If you do not manually enter an address, the default address will be the address you have assigned to your Etsy account and therefore your order will ship to that address. Shipping labels are automatically generated, addresses do not get entered manually upon shipping, completely eliminating the possibility of errors on my end. Therefore, I am not responsible for lost or undelivered packages due to incorrect or outdated addresses. You may refer to each individual item description for a complete list of ingredients used, sizes and weights. Please read the ingredients in each of my listings carefully! If you have sensitive skin or think you may be allergic or may have an adverse reaction to any of the ingredients listed, please DO NOT purchase or use the product! And of course, please use common sense when using any bath and body products! 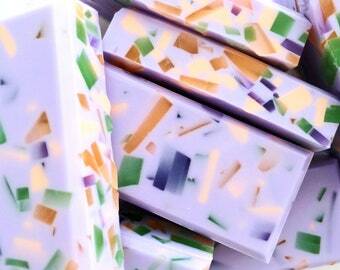 > Sweet Clementine Soaps does not offer wholesale, private label or consignment opportunities. 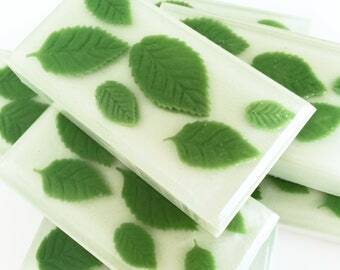 > Sweet Clementine Soaps’ products are NOT FOR RESALE. I absolutely do not support or authorize the resale of any of my products by any other business or individual. 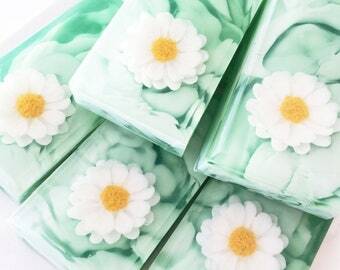 Sweet Clementine Soaps reserves the right to decline any purchase that appears to be for resale purposes. Orders deemed to be for resale will be cancelled and refunded. 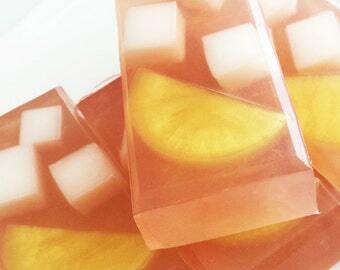 Sweet Clementine Soaps only sells direct-to-consumer. That’s you! Why? Because I am committed to small-batch and made-to-order products with the utmost freshness. By selling directly to you, the customer, I can be sure to maintain the integrity and freshness of the product(s) you are purchasing. If you see my products being sold elsewhere, please report this activity. I do not support any resale practices and you can only get authentic, fresh, made-just-for-you SCS products directly through my Etsy shop, right here! Thank you so much for supporting handmade!